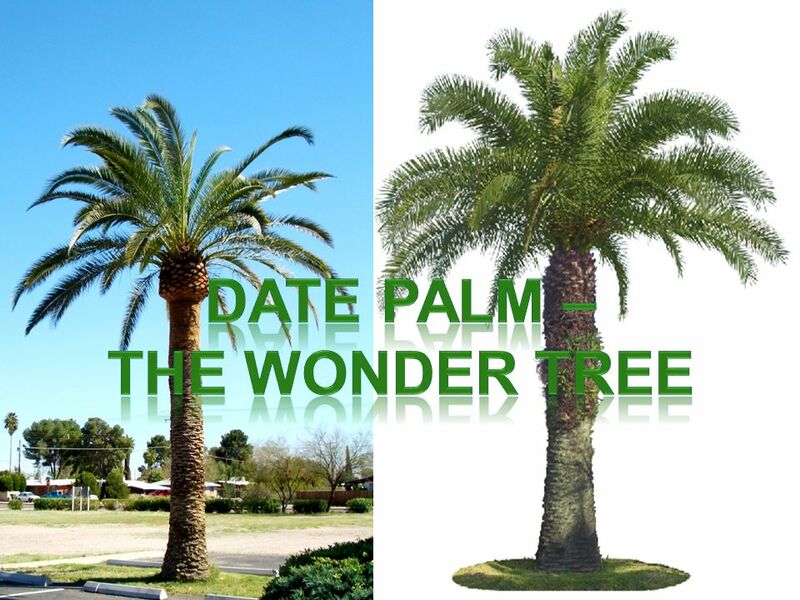 Belongs to the palm family. It has a straight trunk that is hard from the outside and soft from the inside. THERE ARE NO BRANCHES. It grows to the height. 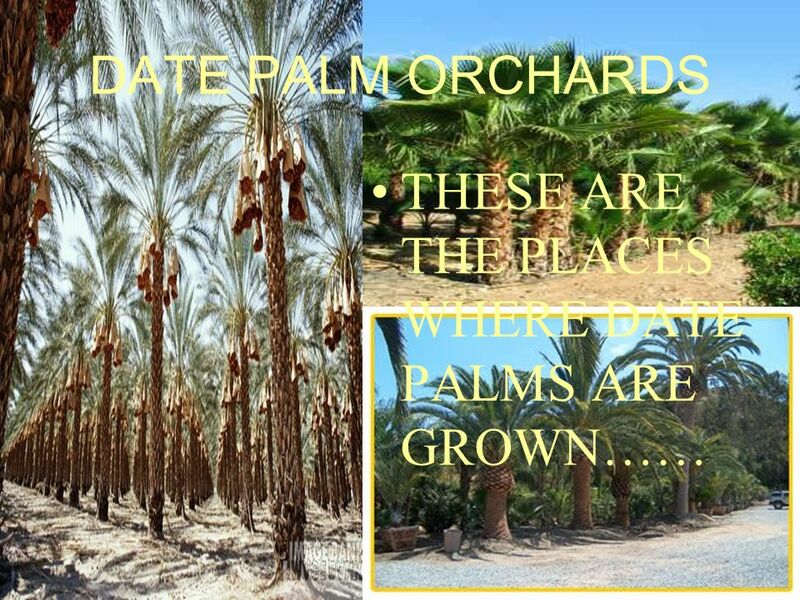 3 Belongs to the palm family. 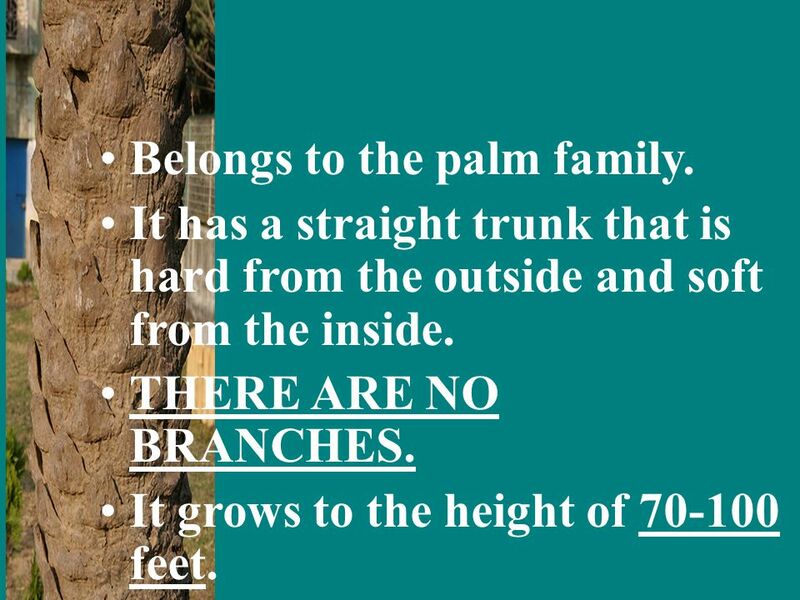 It has a straight trunk that is hard from the outside and soft from the inside. THERE ARE NO BRANCHES. It grows to the height of 70-100 feet. 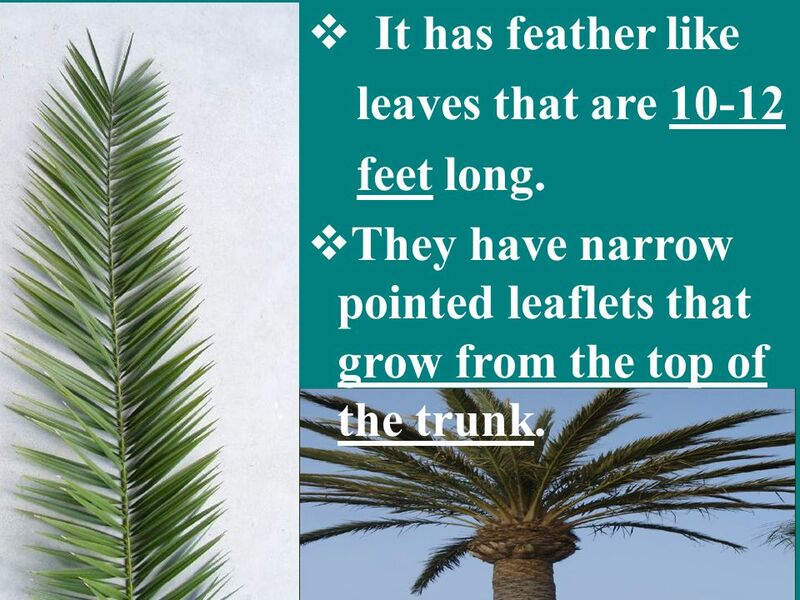 5 It has feather like leaves that are 10-12 feet long. They have narrow pointed leaflets that grow from the top of the trunk. 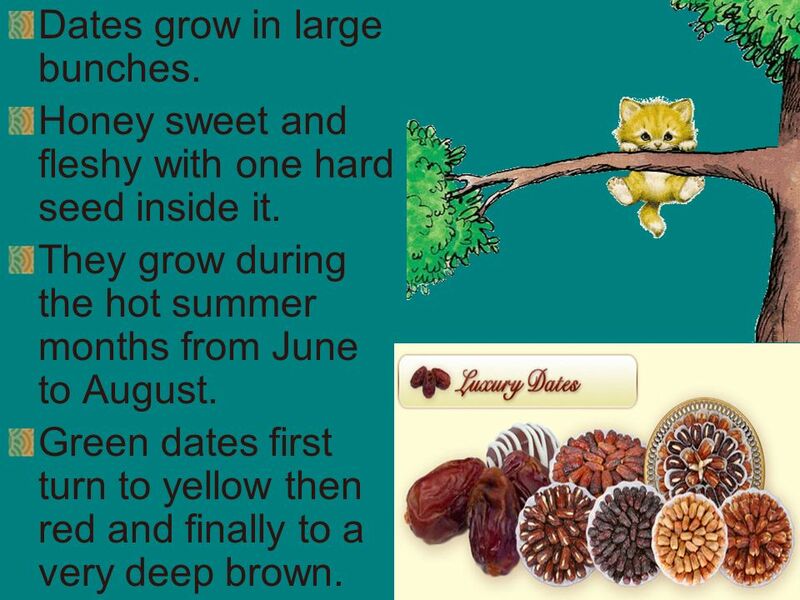 7 Dates grow in large bunches. Honey sweet and fleshy with one hard seed inside it. They grow during the hot summer months from June to August. Green dates first turn to yellow then red and finally to a very deep brown. 11 Why??? 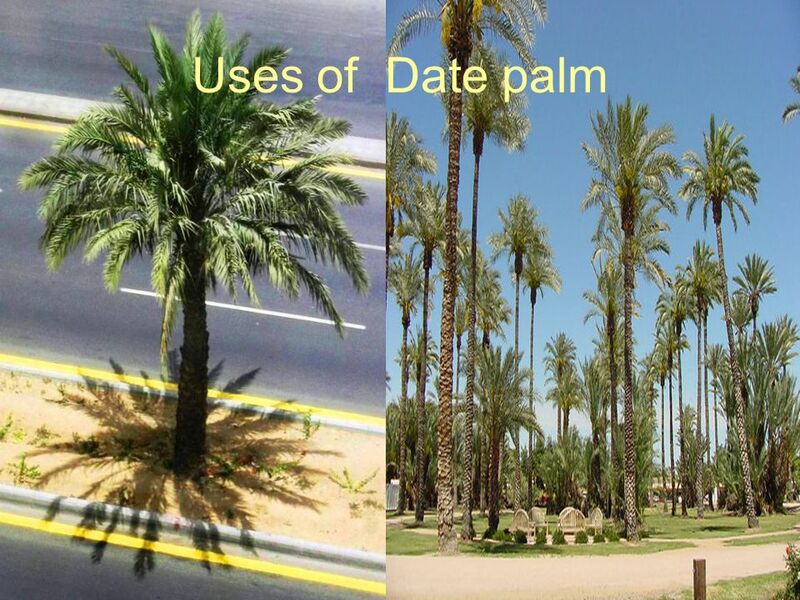 In the hot, dry climate of the desert where there is hardly any rainfall and great difference between day and night temperatures, DATE PALM TREES GROW EASILY…….. All parts of the tree is useful to mankind. 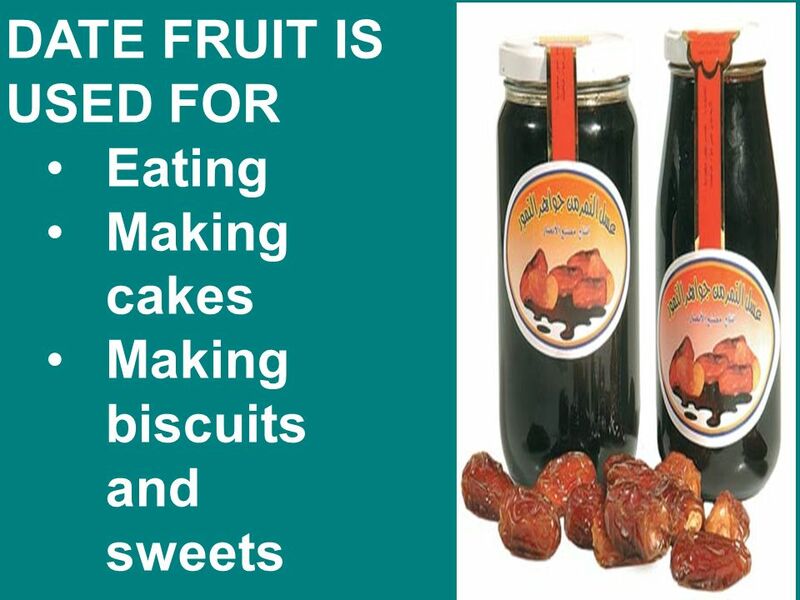 17 Benefits :- Dates are tasty, nutritious and healthy too. 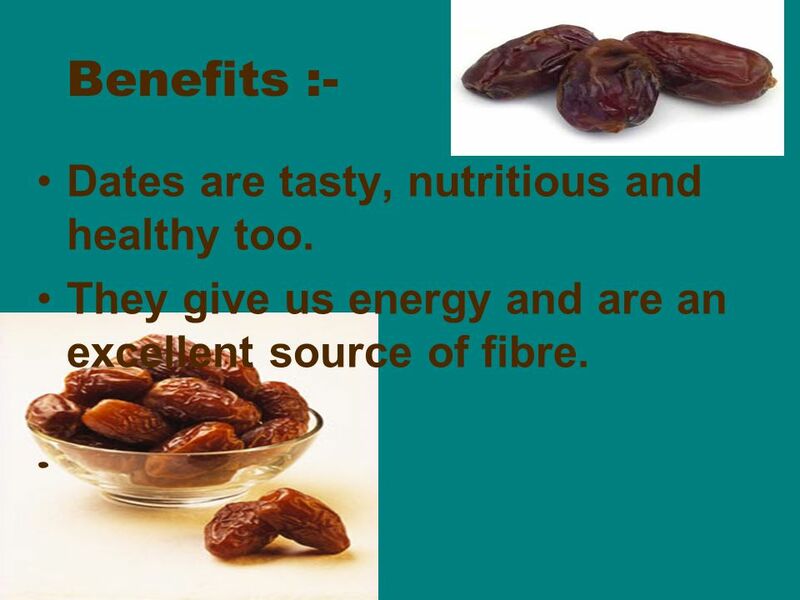 They give us energy and are an excellent source of fibre. 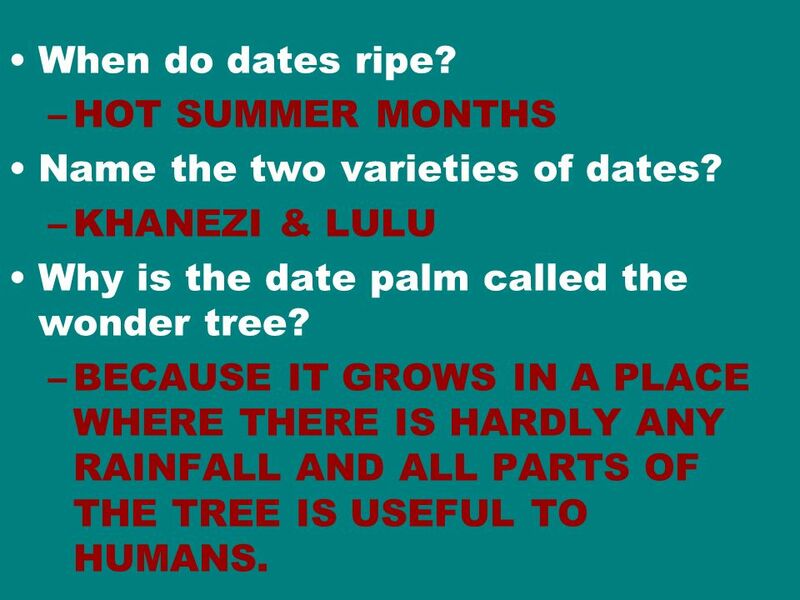 19 When do dates ripe? 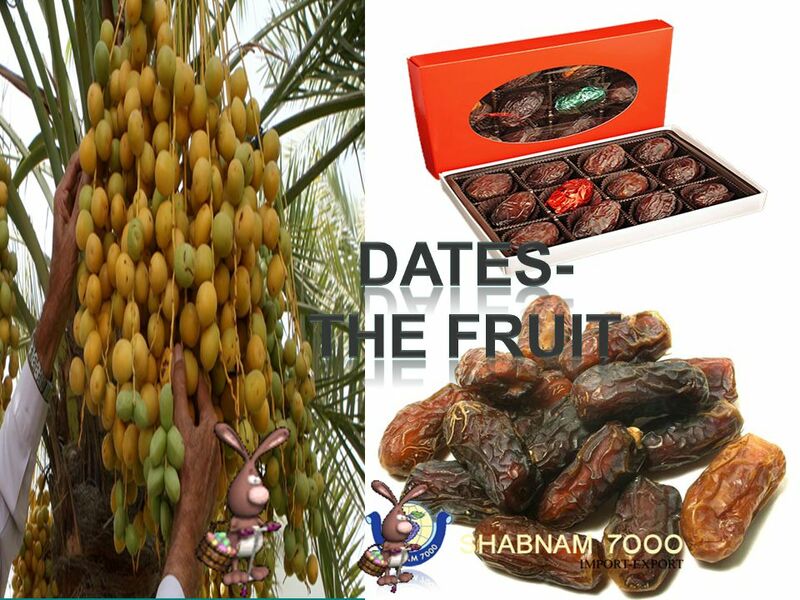 –H–HOT SUMMER MONTHS Name the two varieties of dates? 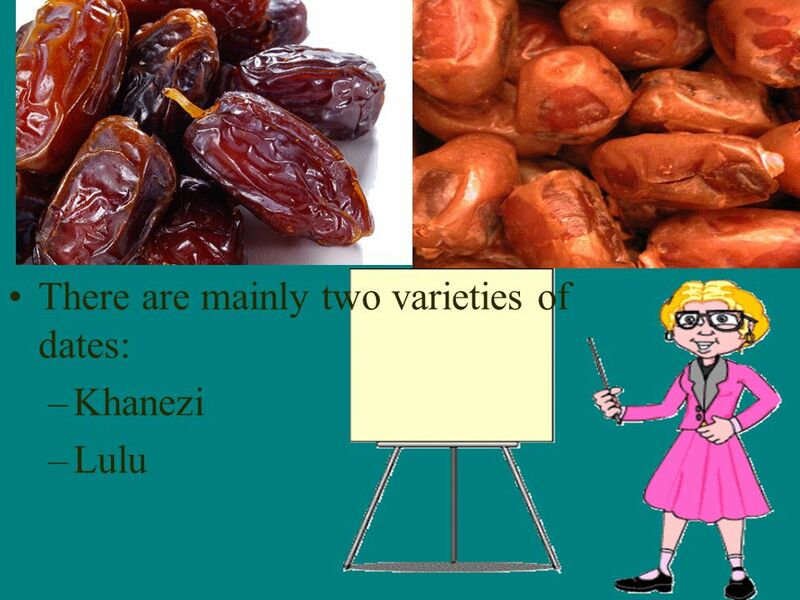 –K–KHANEZI & LULU Why is the date palm called the wonder tree? –B–BECAUSE IT GROWS IN A PLACE WHERE THERE IS HARDLY ANY RAINFALL AND ALL PARTS OF THE TREE IS USEFUL TO HUMANS. 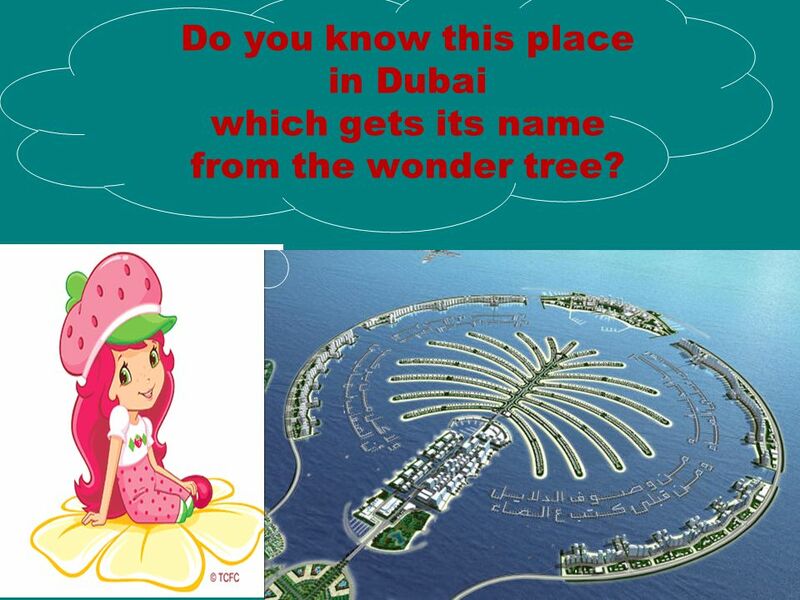 20 Do you know this place in Dubai which gets its name from the wonder tree? 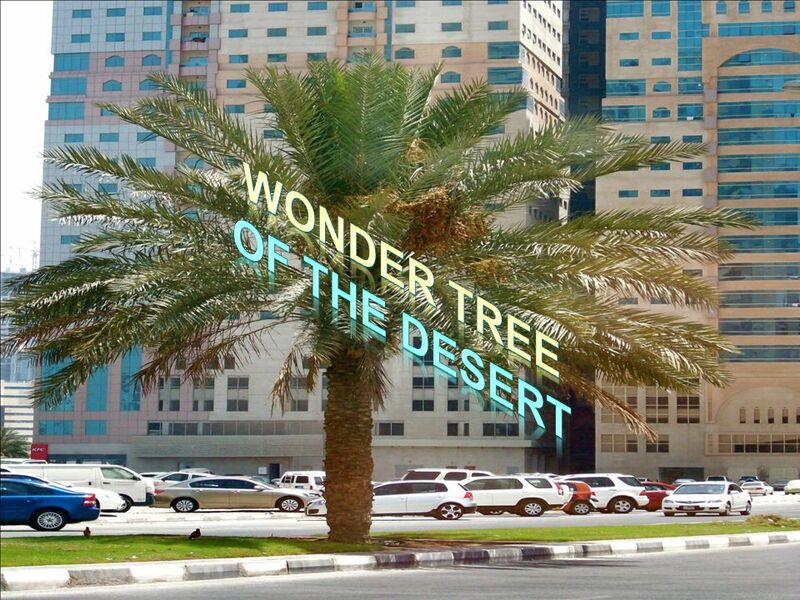 Download ppt "Belongs to the palm family. 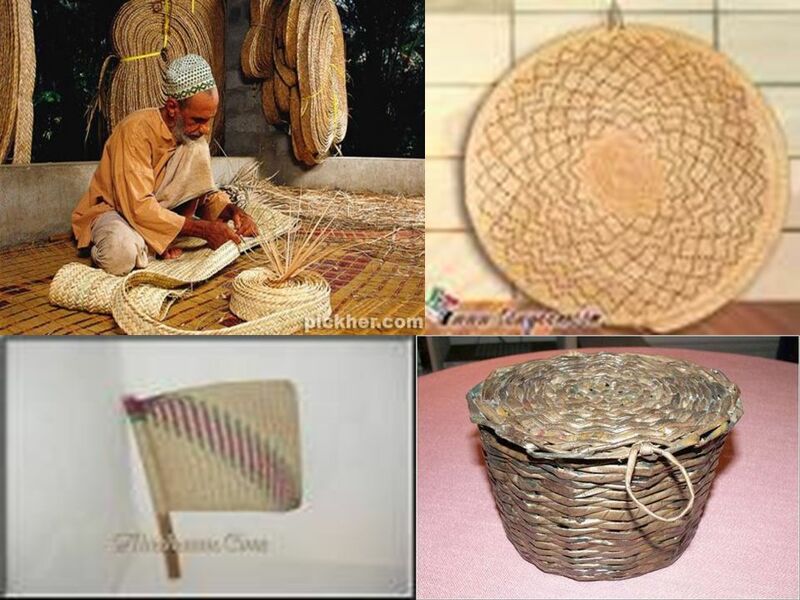 It has a straight trunk that is hard from the outside and soft from the inside. 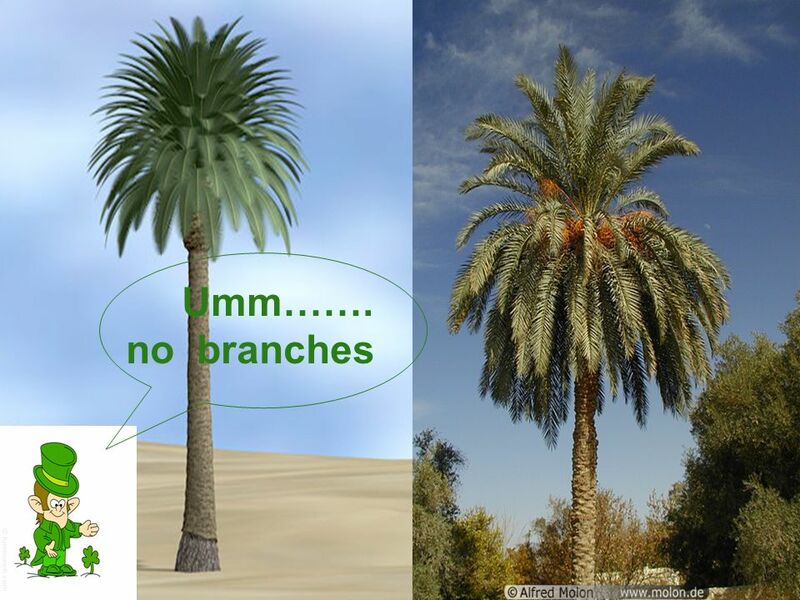 THERE ARE NO BRANCHES. It grows to the height." 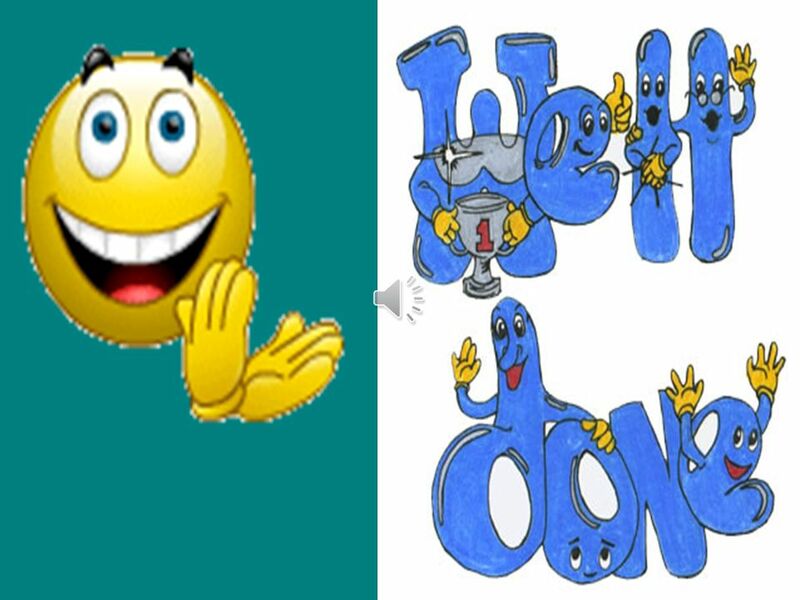 Workers Around The World SEN My Changing World. Click on an area of the world to find out about someone who works there. ? ? ? ? ? ? ? ? ? season Tommy.Webb Seasons The season are caused by the tilt of the earth. The earth is titled 23.5°. The tilt puts us closer to the sun or further. 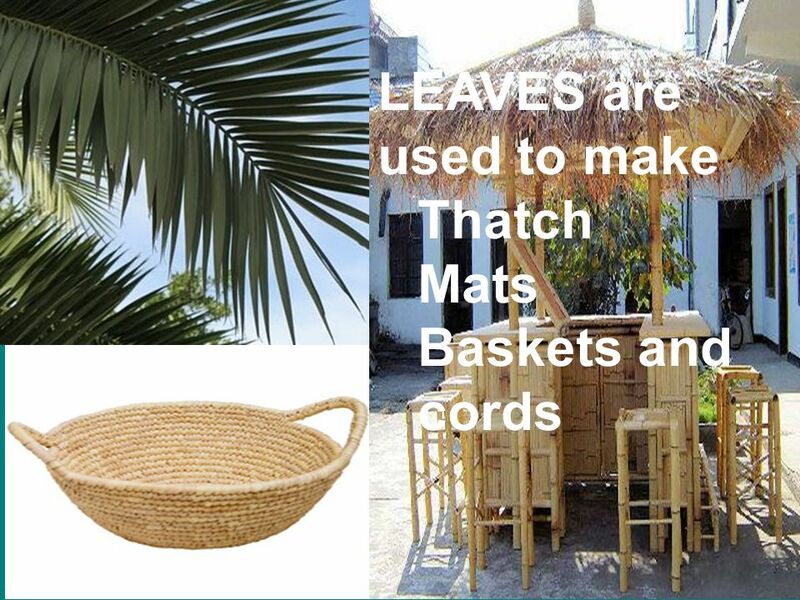 Natural Resources Week 4 Leaves *leaves with long, flat leaf stems *leaves with long, round leaf stems * Few more coniferous trees. Invent-It! Elyas A. 13 Virginia. 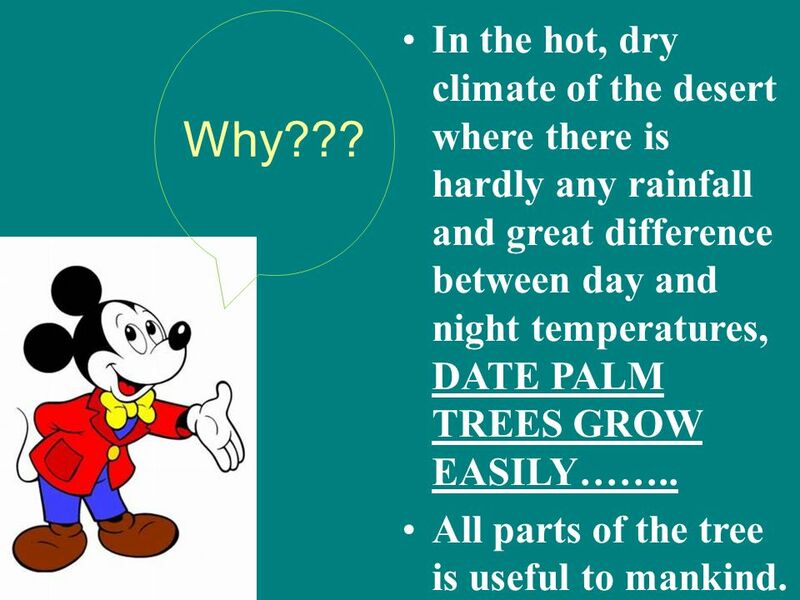 Think It Problem: Frost formation in plants causing them to die. Facts: Frost forms when temperatures are below freezing. 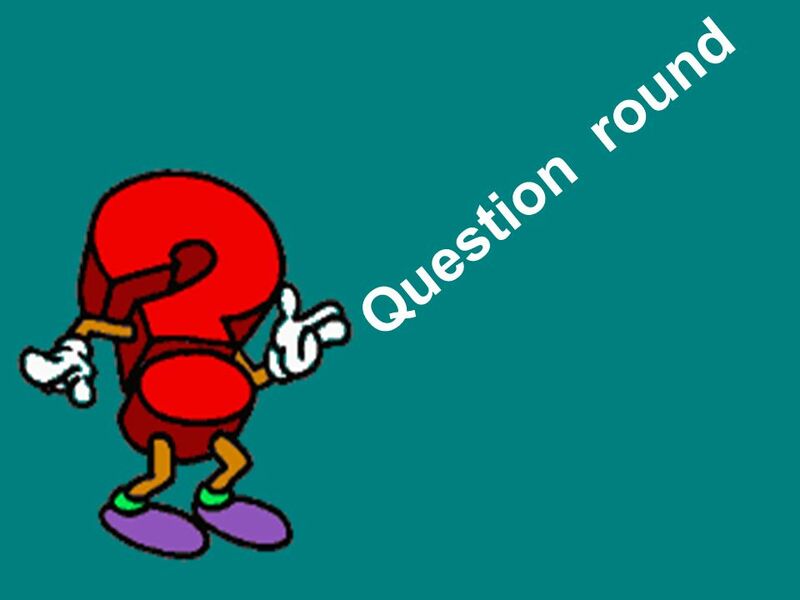 Melons Old world origin Melons originated in hot ______________ of southwest Asia Watermelons originated in ____________ Characteristics Warm season Separate. Rotten foods By Brandon Cunalata. The Fruit The first fruit I started with were apple pear and banana. Each fruit had its own environment the apple was. Rainforest biome By:Anna R Eliza R Abbie J. Rainforest Biome Have you ever gone to the rainforest biome? It is a unique and interesting place. It would. 1 Fruits and Vegetables SMSD Mrs. Rohret Fruits and Vegetables. Trees – Day 3 (1/28) Roots and Trunk. Where are the roots? Map of the world Done by Degtjareva E. School №174. Indigenous Trees Spate Irrigation Regions of Pakistan Prepared by: Karim Nawaz with assistance of: Raja Naeem Ashraf. 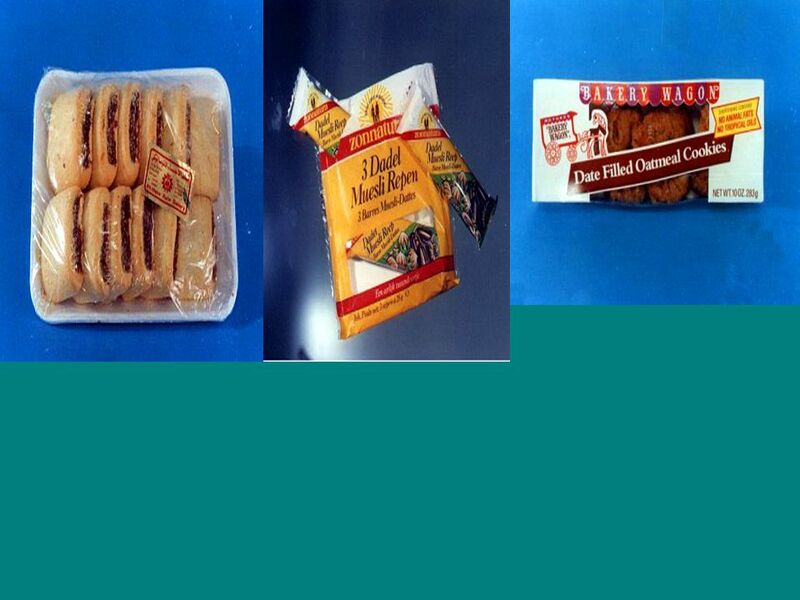 EDIBLE PLANT GAME INTRODUCTION Fruits & Vegetable Slides. Deciduous forest By: Sheikha Al-Attiya. Definition of Deciduous The word "Deciduous" means "falling off or out at a certain season”. Deciduous forest.